Powered on or switched off, these headphones bring you the award-winning AKG Signature sound that’s deep in bass and rich in mid-range. N60NC Wireless is rated 4.3 out of 5 by 37. Rated 5 out of 5 by Tilley from Amazing headphones Got them for Christmas, I commute and wanted to shutout the coughers and sneezers on the train and for them to not hear me, noise cancellation is amazing sound is top notch. They're comfy and light weight as well. Rated 5 out of 5 by JasonT from The last set of headphones you'll ever buy! I bought these a two days ago and I'm totally blown away! The dynamic range is amazing and distortion free. I gave these a baptism of fire during rush hour on the tube - the noise cancelling was unparalleled. Throw in the comfort of the plush pads, I almost missed my stop! The call quality is crystal clear and the bluetooth connectivity fantastic and the design flawless. As much as I wanted to complain about the £178 price tag, they're worth every penny. Rated 5 out of 5 by OuttaControl from Wow, oh wow these headphones are AMAZING This is my first experience with AKG, and I have never loved a pair of headphones as much as these. I really thought I was going crazy the first time I or them on. My AC and fridge can be loud, and when I put these on, the background noise completely disappeared. I do not know how noise cancelling works, BUT THEY WORK. The bass punches just enough, and the treble and mid ranges are crystal clear. Holy cow these headphones are simply the best I've ever owned. I am so glad I have these. I'm an audiophile, and own over 1500 tracks, and these actually make my music sound even better. I can't say enough good things about them, other than AKG = Awesomely Killer Great? Forget Bose and Beats, remember AKG! 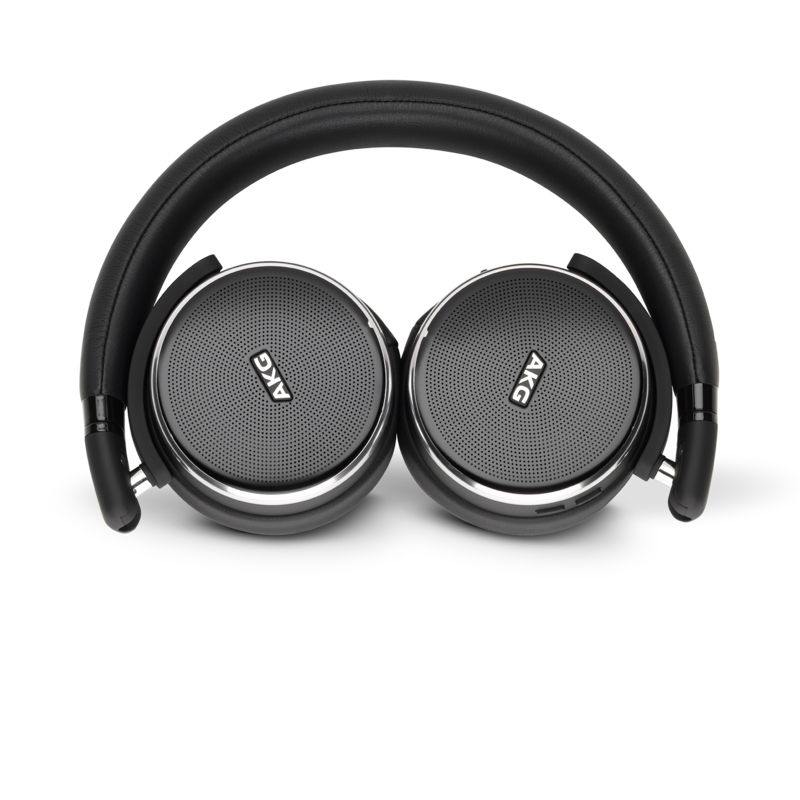 Rated 5 out of 5 by Djdeej from Compact Comfortable Stylish and a Great Sound Freebie with new phone purchase. Previously owned Bose QC25. These compare favourably and I must say I prefer the sound of the AKG cans. Very comfortable and lightweight. Noise reduction good but obviously not as good as over ear headset. Bluetooth is a good move up from corded. Would definitely recommend. 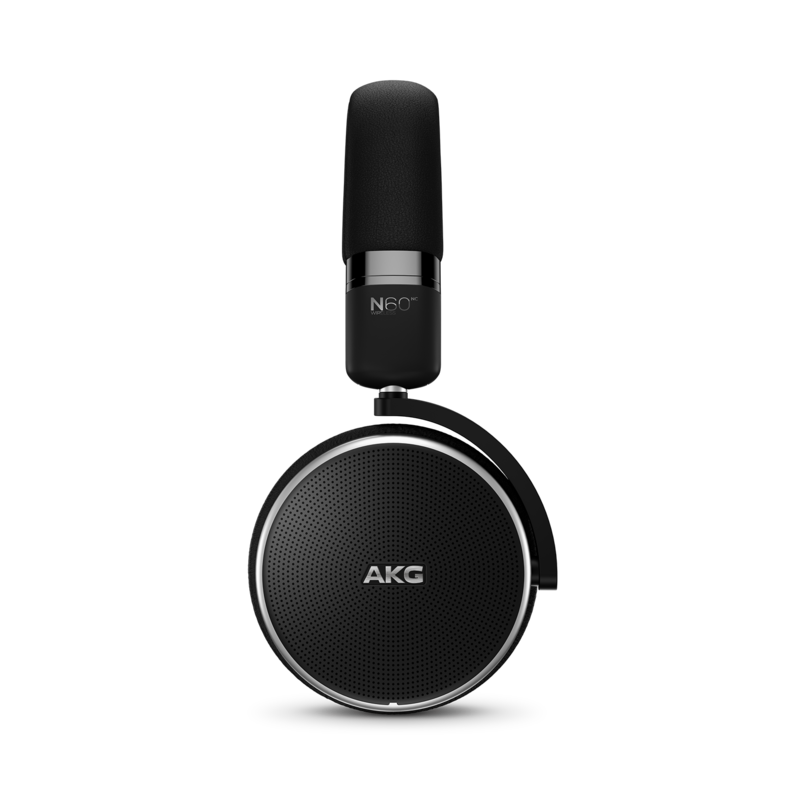 Rated 5 out of 5 by JT315 from Best headphones This is my first time using an AKG headphones. I like how light it is on the head no discomfort whatsoever. I like the sound not too much bass just right and nicely balance. I like it so far this my second day since I have been using it. 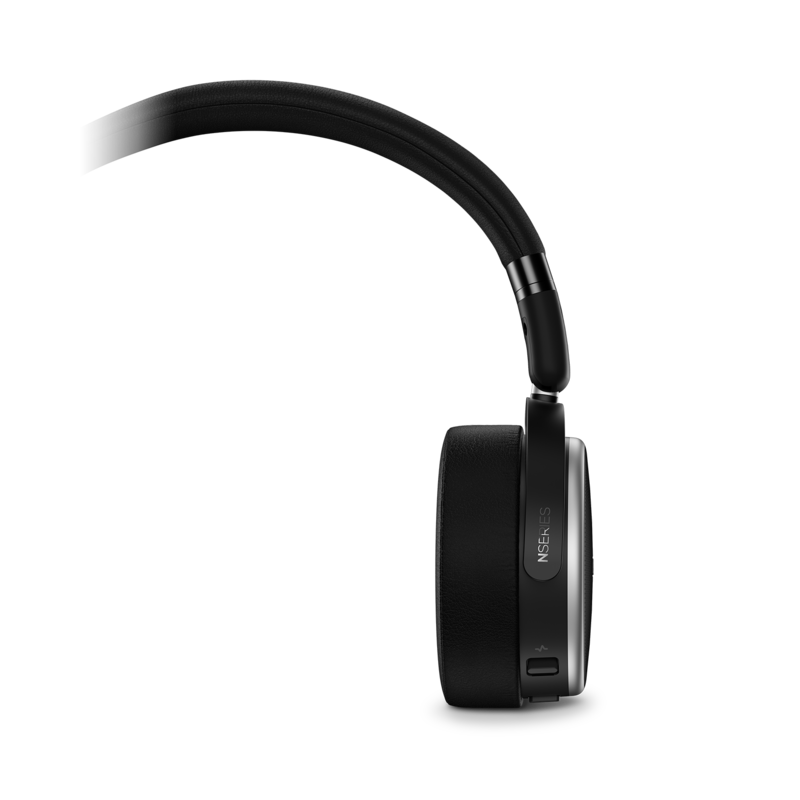 Rated 5 out of 5 by iamnotarobot from Compact, great sounding headphones It was the obvious choice for AKG to make the n60 wireless. Beenn looking for a quality set of headphones for some time now that aren't over ear and therefore cumbersome to wear when outdoors. Owned for 6 months and no signs of wear. 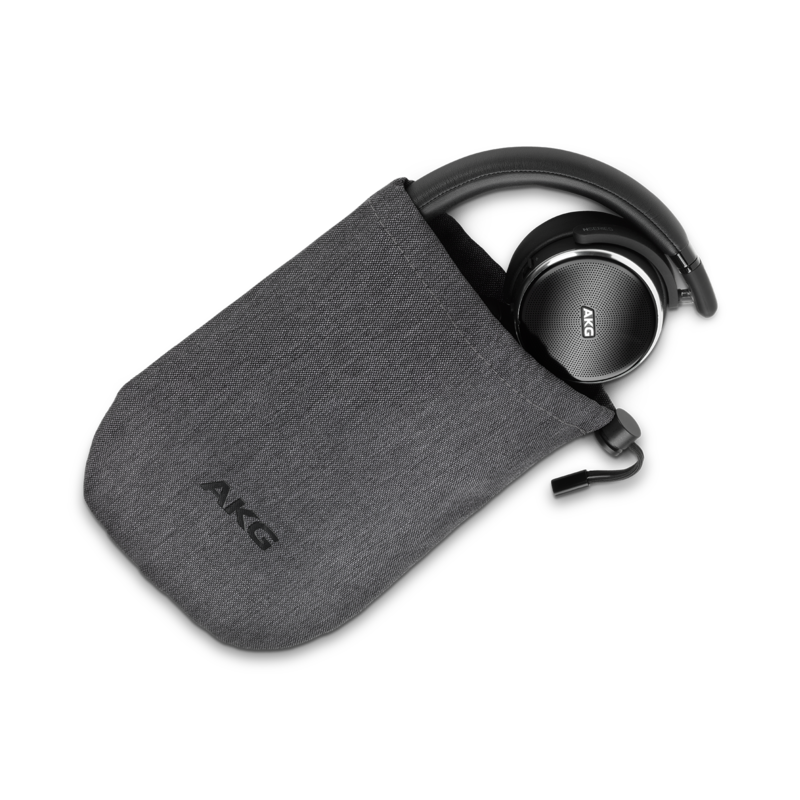 AKG have a really great package on offer here - a small, foldable great quality sounding pair of headphones, with noise cancelling on top. They take seconds to unfold and connect to your device over Bluetooth. 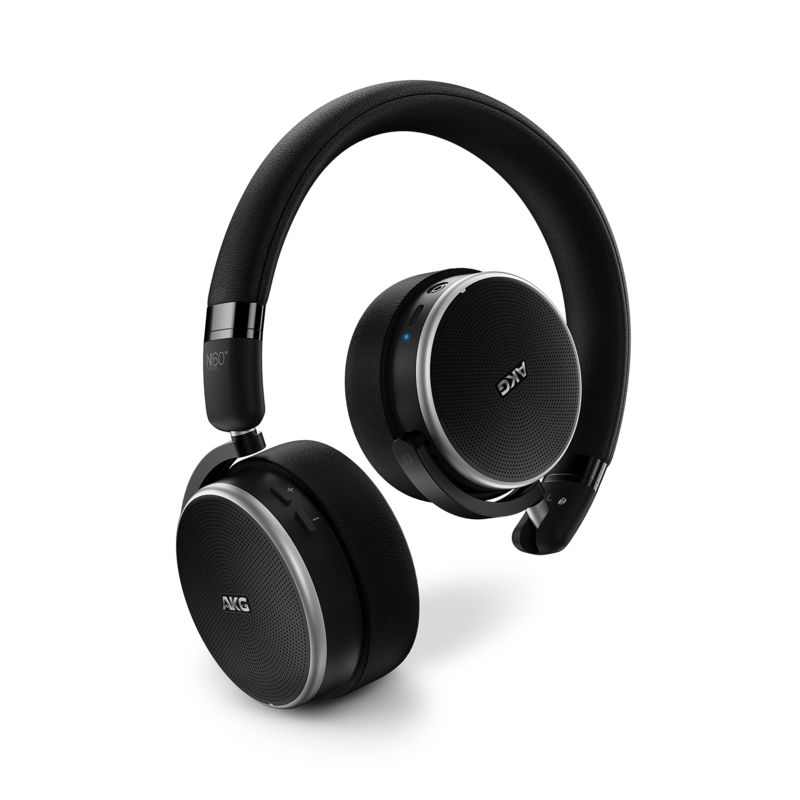 The sound quality and noise cancelling is fantastic using bluetooth - especially if you have an aptx compatible device. Of course noise cancelling has its limitations with on ear cans, on this device for example in windy conditions, but these are the best in this category and cancel most noises very well, even speech. Mic quality is good too, with phone conversations being heard clearly on the other end. I just wish AGK could have implemented compatibility with voice commands through android and iPhone as it's a bit of a pain having to get your phone out to make a call through them. Just a button to hold down to activate this would have been good. Battery life is great, lasting forever it seems through bluetooth and noise cancelling. If you do run out there is always the option to use the wired lead which gives you the best sound quality and eliminates the very slight hiss / buzz you get when Bluetooth is connected but nothing is playing, barely noticeable though. 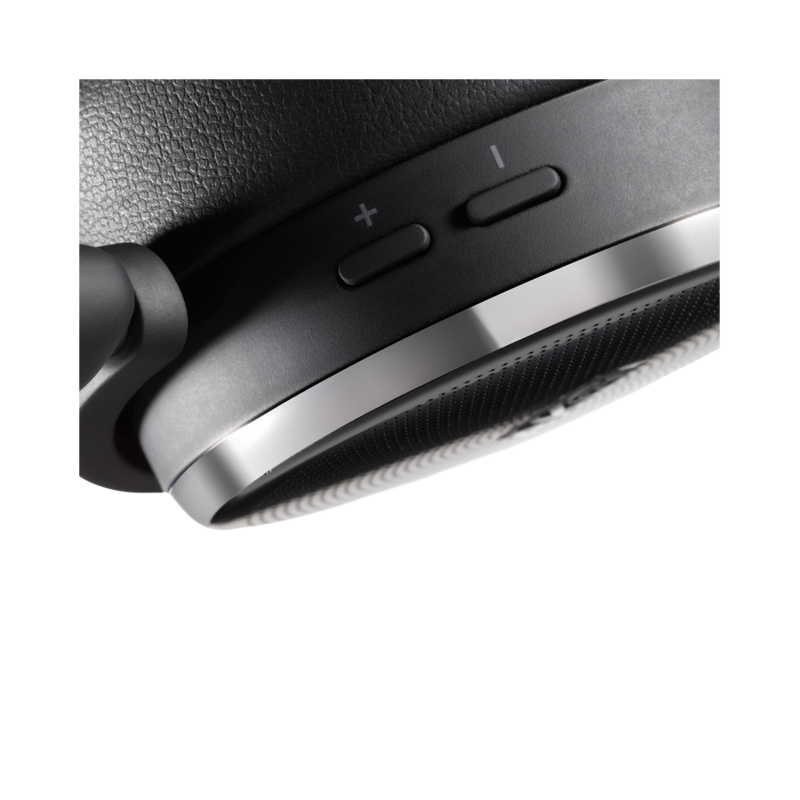 Bluetooth and noise cancelling work together (you can't turn NC off), wired with NC, or wired without NC. It would have been good if they had made a way to turn on and off noise cancellation, so you can choose how you want it over Bluetooth, but this is a minor complaint. 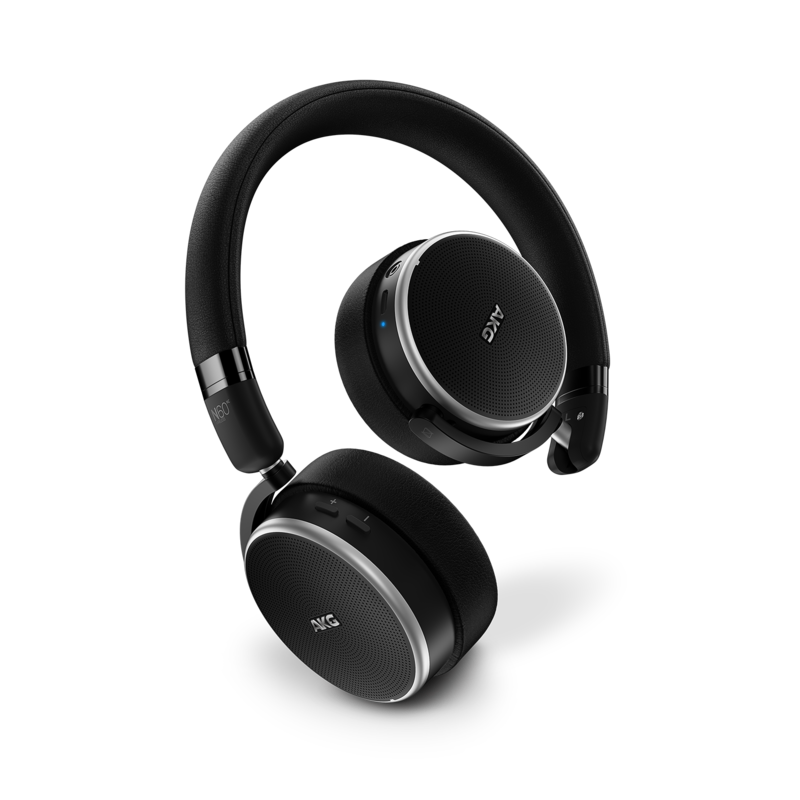 In summery, as expected with AKG, a great set of headphones that are compact, comfortable for hours on end, great clear sound quality with a very wide frequency range, good battery life and top notch noise cancelling abilities. 100% recommended. Thank you for contacting us. Since your request requires an error analysis by our product specialists, we kindly ask you to contact Harman Customer Service by phone, email or chat to help you with the request. Please refer to https://uk.harmanaudio.com/support-contact.html#ns for more information. Many Thanks. The ability to remotely control volume has suddenly stopped working. I have tried this on two devices that previously worked fine. Is this a fault or is there a setting I have missed? How can I connect wirelessly to airplane media system? The flight adapter is a standard 2 pin 3.5mm, whereas Boeing and Airbus use a 3.5mm and 2.5mm pin. I had to use my audio cable, so there was no advantage to having the wireless version. Hi, and thank you for supporting AKG! The twin 3.5 mm solution is still very widespread, and the tendency now is to move to the single 3.5 mm stereo jack used in portable devices in airplanes. This plug is of course the standard plug on your headphones. The adapter that you mention seems not to be available on e.g. Amazon UK at all. You may want to ask the airlines that you are using for an adapter that fits their system. The actual connectors used is more a matter of the airline and their supplier of chairs, than it is dependent on the manufacturer of the aircraft. Are these headphones aptX compatible? ie. is it worth me buying an aptX wireless transmitter to pair with these headphones, or just a normal one? Thank you for your question. Yes the headphones do support Apt-X, so I would suggest that you purchase a transmitter that supports this headphone. If you have anymore questions or issues please submit a case request at https://uk.akg.com/support-product.html and the Customer Service Team will be more than happy to assist you. I might be being a bit thick here, but should the noise cancelling work automatically? I'm using these in Bluetooth mode, but they don't seem to be noise cancelling. Eg. I'm wearing them as I type and can easily hear my keyboard over the music. Can the blue LED be shut off when listening to music? I use these at night and the LED is very bright. Hi! Unfortunately, there is no way to turn the LED light off or even Dim it. It was designed as an indicator whether your device is connected or not and for charging. How do I replace the battery for the NK0NC wireless headphones?